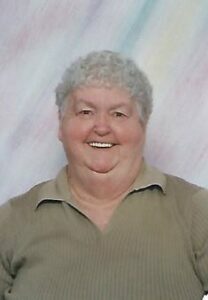 LEWISTON - Beverly J. LaPlante, 81, passed away with her family by her side at the Marshwood Center in Lewiston late Saturday morning, Feb. 9, 2019. LEWISTON – Beverly J. LaPlante, 81, passed away with her family by her side at the Marshwood Center in Lewiston late Saturday morning, Feb. 9, 2019. She was born Jan. 31, 1938, in Wilton, the daughter of Leroy and Edna (Davis) Wright. She attended school at Jay High and went on to make a warm home for her five children. She enjoyed when her family got together. Be it at the holidays or for cookouts or when they came to visit at her seasonal site at Cathedral Pines in Eustis. Beverly is survived by her children Robert Dunham of N. Jay, Clayton Stanley of Chesterville, Arthur Stanley of N. Jay, Barbara Gordon of Livermore and Linda Carleton of Buckfield. A sister Juanita Black of N. Jay. Eight grandchildren, 10 great-grandchildren, and four great-great-grandchildren. She is predeceased by her parents; brothers, Harold and Jim; and an infant son, Ricky. The family would like to give special thanks to the staff at the Marshwood Center for their wonderful care.